The daring, early morning counterattack on December 26 caught the Hessian pickets off guard. Advancing in two columns along the Bear Tavern (River) and the Pennington Roads, Washington’s army swept in with a howling snow storm at their backs, surrounded the town and positioned artillery at the head of the main streets. When the alarmed Hessians poured out of their barracks, their attempts to organize in formation met Colonial cannon fire and infantry with fixed bayonets on the side streets. ALARM BELL--Hessian mercenaries under the command of Col. Johann Rall were barracked here and at other points around Trenton--and awoke to muster calls as the Continental Army attacked. ATTACK AT DAWN--Featuring key road junctions north of Trenton in 1776. (1) Washington's plans fall behind schedule in the growing storm, but 2,400 troops and artillery make it over the swollen Delaware River by 3 a.m. (McConkey's Ferry) under the able direction of Henry Knox. 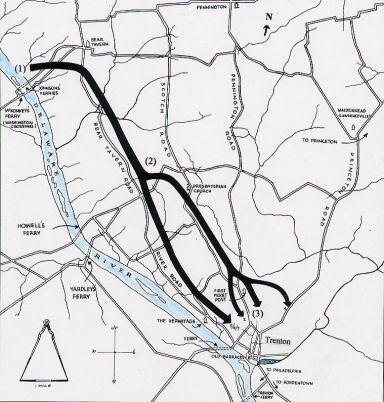 (2) Marching silently, the attacking Continentals divide forces with General Sullivan taking the River Road and Generals Washington and Nathaniel Greene taking Pennington Road. (3) Artillery positioned at the head of High and Bridge Streets open fire just after 8 a.m., while troops under Maj. Gen. Sullivan and Brig. Gen. St. Clair take position along side streets near old barracks. Troops movements are concealed in the snow, which is at the backs of the attackers. At this miraculous juncture, Washington’s army suffered only light casualties – with four wounded. The Revolutionary War would drag on another five years to other theaters leading to Cornwallis’ surrender at Yorktown in 1781, but Trenton was the turning point. The significance of Washington’s dawn attack was summed up in London by Lord George Germain, Colonial Secretary of State to King George III in a speech before the House of Commons on May 3, 1779 when he said, "All our hopes were blasted by that unhappy affair at Trenton." With Continental artillery canister clearing the streets (1-3), Hessians are routed on the side streets by a fixed bayonet charge under Sullivan/St. Clair (7). Amid growing confusion, Col. Rall (A) retreats to orchard with (B) voss Lossberg regiments. Flying snow is in their faces as Hessians organize for a counterattack (C) Von Knyphausen's regiment moves to join Rall. Marching with Washington on that blustery morning long ago was Dr. Jacob Jennings (1744-1813), a surgeon and officer from Hunterdon County under Col. Mark Thompson and Abraham Bennett. Hailing from a long family line which traced back to Long Island more than a century earlier, Jennings had been a community leader and a delegate in the provincial Congress of New Jersey in August 1775. Afterwards, he served in the Committee of Correspondence, a local coordinating/networking function for early patriots to report/build on opposition to British rule.3 His father, also named Jacob, had been a pastor near Scotch Plains, New Jersey. 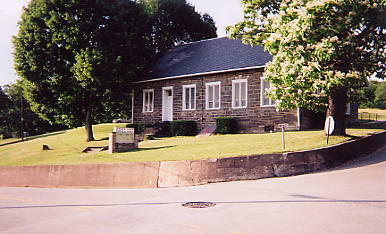 According to Jennings lore, Dr. Jacob was one of those wounded at Trenton, but he recovered and later became a pastor himself at the North Branch Reformed Church in Readington, New Jersey. He and his wife, Mary (Kennedy) Jennings had six sons and two daughters between 1770-1787. 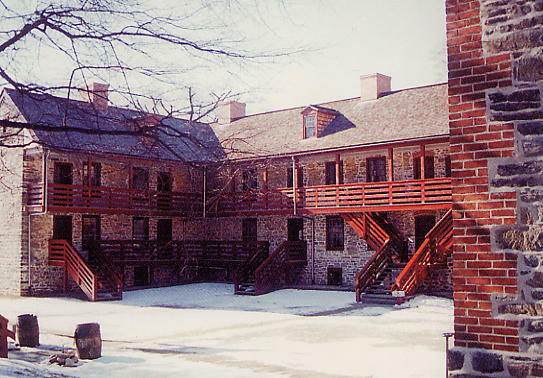 But in 1791 Mary died prematurely (at age 42), and Jacob moved his family to New Salem, Pennsylvania (near Uniontown). He continued practicing medicine, remarried and was soon ordained as pastor at the Dunlop’s Creek Presbyterian Church (1792). Jacob continued in the pulpit until his death in 1813. Write, blessed are the dead Who die in the Lord. DUNLAP'S CREEK PRESBYTERIAN CHURCH--near New Salem, PA became the pulpit for Dr. Jacob Jennings in 1792. Church services continue to the present day. The Jennings migratory tradition forged another westward surge a generation later. Armed with strong educations and discipline, the sons of Jacob Jennings entered Ohio and Indiana, sparking illustrious public service careers. David (1787-1834) served as Belmont county (Ohio) prosecuting attorney, and later became a State Senator and a member of the U.S. House of Representatives. Of his brothers, Obadiah (1778-1832) was a renowned lawyer in Steubenville, Ohio and later became Andrew Jackson's minister in Nashville, TN; Jonathan (1784-1834) studied law and became the first governor of Indiana (1816) later serving several terms in the U.S. House of Representatives; and Ebenezer, the youngest, who moved to Washington, PA became a Pennsylvania State Senator. The oldest brother, Samuel Kennedy Jennings (1771-1854) followed his father’s medical lead, becoming a surgeon and one of the founders of the Washington Medical College of Baltimore. One of Jennings’ daughters mothered the famous Henry Alexander Wise (1806-1876) who became Governor of Virginia (1856-1860), opposed secession and served as a Brigadier-General in the Confederate Army with distinction at the Battle of Petersburg, and later urged surrender at Appomattox. At the outbreak of the Revolutionary War, no less than nine family heads of households (Jennings) lived at Southampton, Long Island – descendants of John Jennings (1617-1686). Formed in the early 1640s as the first English settlement in New York, rivaling New Amsterdam (Dutch), Southampton had become an important port and trading center. The British wanted to utilize Southampton as a staging area for the invasion of New York. There were many Tories (i.e. Loyalists) among the population, but the Jennings maintained an "Independent tilt." When the British ordered Israel Jennings (1745-1830), one of the more prominent family heads to either swear allegiance to the Crown or give up his home, he elected to relinquish his property and later migrated to Kentucky, finally settling in Brown County, Ohio (near Cincinnati) in 1803. Israel Jennings was the maternal great-grandfather of William Jennings Bryan - The Great Commoner (1860-1925). 8Israel's son (also Israel Jenning) migrated to Salem, Illinois. 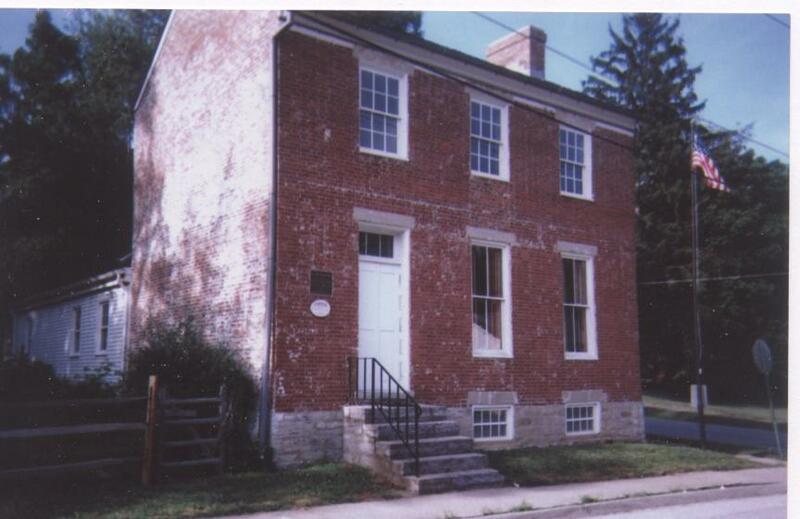 GRANT BOYHOOD HOME - This property, just off Georgetown, Ohio's main square and less than a mile from the Jennings farm, was once owned by Jesse Root Grant. His eldest son, Ulysses S. Grant, learned to ride and work horses in this area. These "intersections" were discovered during Jennings genealogical research which linked Israel Jennings (1745-1830) to William Jennings Bryan (1860-1925). 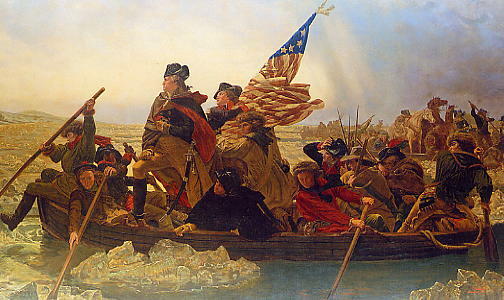 1 The Battle of Trenton, Samuel Stelle Smith, 1965, pp. 20-27. 2 1776, David McCullough, Simon & Schuster, 2005. 3 History of Hunterdon and Somerset Counties of New Jersey, James P. Snell, 1881, p. 30, 218, 228. 4 Early History of Southampton, Long Island, New York, Georges Rogers Howell, 1887, p. 330-331. 5 History of Fayette County (PA), Ed. Franklin Ellis, 1882, p. 623, 735. 6 Centennial History of Belmont County, OH, A.T. McKelvey, 1903, p.642. 8 History of Marion County (IL), Prof. J.H.G. Brinkerhoff, 1909, pp. 41, 46, 121.